Looking for the best soy milk makers to buy in 2019? You've come to the right place! Everything you need to know is in this guide. Why and when you should consider using a soy milk maker. The different plant-milks you can make with one. The various soy milk makers on the market and their differences. Our top 8 soy milk maker picks. Why Buy a Soy Milk Maker? What Makes The Models Different? So Which Model is Best? The company behind SoyaPower – Sanlinx – introduced the original soy milk maker to the US in 1999, so the brand has a long history of producing soy milk makers. As a result, it’s a brand that’s constantly innovating and trying to introduce new elements to the market. This is reflected in the G4, which is one of the top soy milk makers on the market. 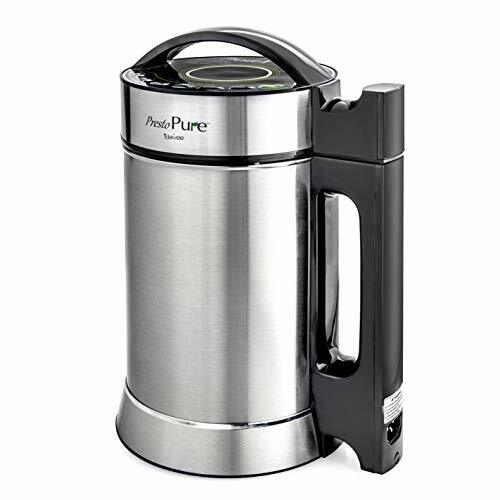 This model has a 1.3L capacity, a filterless system, a lot of pre-programmed settings, a one-year warranty, a plastic base, and a stainless steel interior – all of the ideal features for a soy milk maker. 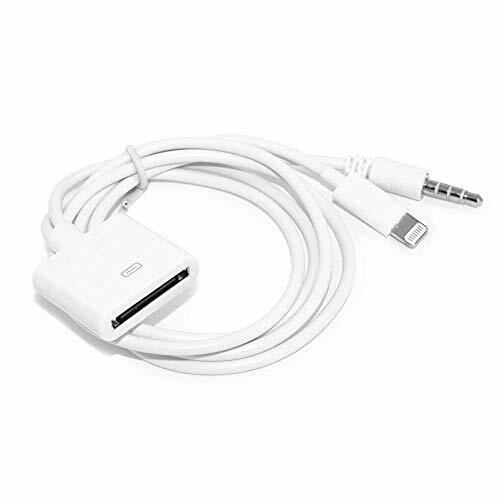 It’s also advertised as being a low-noise model, significantly lower than other models on the market – helpful, as many of them are very noisy. The SoyaPower G4 has some of the most pre-programmed models on the market, with eight: grains, soaked beans, dry beans, porridge, soup, raw/juice, mung bean, and hot chocolate. These settings make it much easier to make any of these things, as the machine will set its cycles automatically. This model brags about having Perfect Grind Technology, which is supposed to give high milk yield for a certain amount of nuts or beans, which is likely to make it a more cost-effective machine than some others. It also claims to have a special cooking system for soy beans, which cooks it at over 200°F for 20 minutes to ensure that the enzyme inhibitors in the soybeans are inactivated for greater health benefits. The bottom-heating system is also supposed to ensure a more even cooking process. This is a great model for just about anyone – it’s an average size, it’s got heaps of settings, and it’s both lightweight and low-noise. 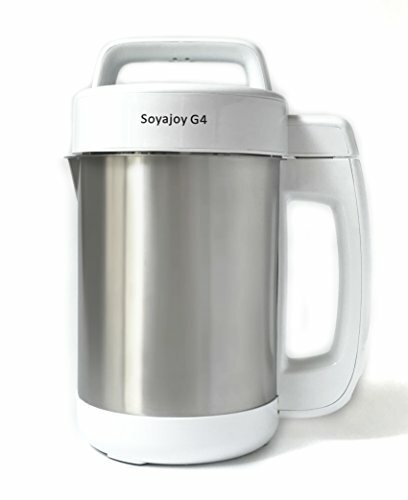 If you’re interested in a soy milk maker that can do more than just make soy milk, consider the SoyaPower G4. 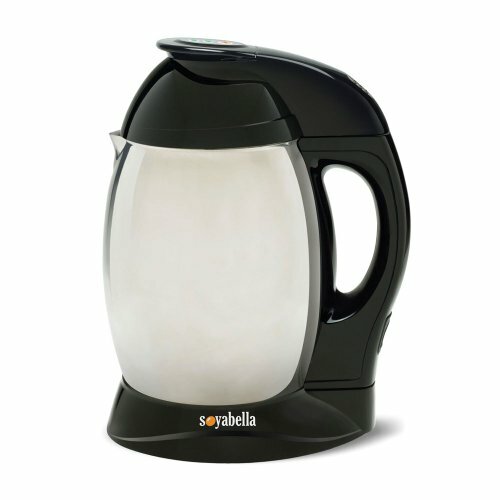 The Sonya SYA19A is another excellent soy milk maker on the market today. Like the preceding G4, it has a 1.3L capacity, filterless technology, an assortment of pre-programmed settings, a one-year warranty, and a plastic exterior. As a result, it’s got all the best features on the market – and it’s just as good as the SoyaPower model. There are a couple of important differences between these top two models: the number of pre-programmed settings, the noise levels, and the containers. The SoyaPower has eight settings, but the Sonya has six: dry bean, soaked bean, nutrient paste, cereal milk, mung/red bean, and blending. The G4 is advertised as being low-noise, while the Sonya is not. 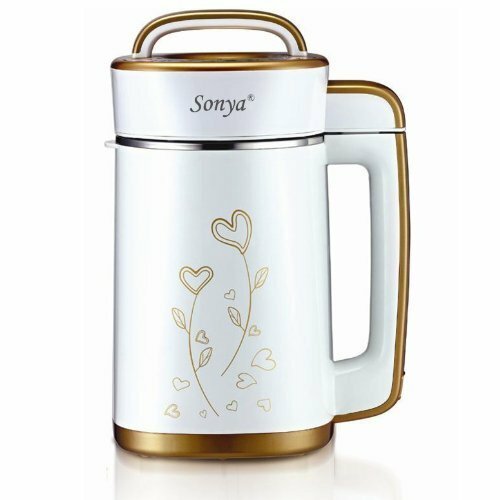 And the Sonya is said to have double-layered stainless steel containers, to keep the outside truly cool while the inside reaches temperatures hot enough to cook the beans. This model also has bottom heating, for even cooking, and has an S-shaped blade to increase nutrient extraction. It comes with both English and Chinese recipe books. The Sonya is a great model with plenty of useful specs and all of the things you’d hope for your model to have. The second Sanlinx model in this list, the SoyaJoy G4, is similar in many ways to the SoyaPower model. Both have filterless technology and one-year warranties with stainless steel interiors. Both use Perfect Grind Technology to produce high yields of milk from a certain amount of nuts or beans. Both have bottom heating to make sure cooking is even, and both have a cooking system designed to inactivate the enzyme inhibitors present in soybeans. The SoyaJoy has a larger capacity than either of the previous models on this list, at 1.7L. Therefore, it’s big enough to support more servings than most of the soy milk makers on the market. It has five pre-programmed settings instead of seven: soaked beans, dry beans, raw juice, grains, and porridge. It has a primarily stainless steel exterior, which makes it hot to the touch during the cooking process; only the handle, lid, and bottom of the model are plastic, so it can still be easily picked up. This stainless steel exterior is a negative compared to plastic-based exteriors, but the rest of this model’s specs are good enough to keep it one of the top on the list. The Presto Pure is the largest model on the list. Its capacity – 1.9L – is one of the biggest on the market, and so it’s ideal for people who either drink a lot of nut milk or who are creating milk for a family. It has a filter-free interior, a one-year warranty, and a stainless steel interior. The seven pre-programmed functions are dry bean/nut, wet bean/nut, porridge, rice soy milk, corn juice, pureed soup, and juice/clean. This is the only model on this list to have an inbuilt cleaning setting, which makes it slightly more helpful to clean it. This machine has a dual layer stainless steel body to help keep the outside cool, but it should be noted that this model’s exterior is stainless steel and therefore is likely to be much hotter to the touch than a plastic exterior. That is this machine’s only negative point; the rest of its features are beneficial enough to forgive this. One of the major benefits of this model is its advertised noise level, which is ‘comparable to a standard dishwasher’ – and therefore much lower than the other soy milk makers, which are typically very loud. The first Joyoung on this list has a 1.3L capacity, a filterless system, a one-year warranty, eight pre-programmed settings, a plastic exterior, and a stainless steel interior. It’s a very standard ‘good’ offering from Joyoung, with many of the benefits that you’d hope for from soy milk makers. It doesn’t have any discernible negatives, so the only reason that it’s down so far on the list is because of its lack of other benefits. It’s not advertised as being quieter than other models, or having better yields than other models, or having a bottom-heating system for better and more even cooking. Instead, it has a ‘3D heating system’ that is supposed to release more nutrition from the food you’re cooking. 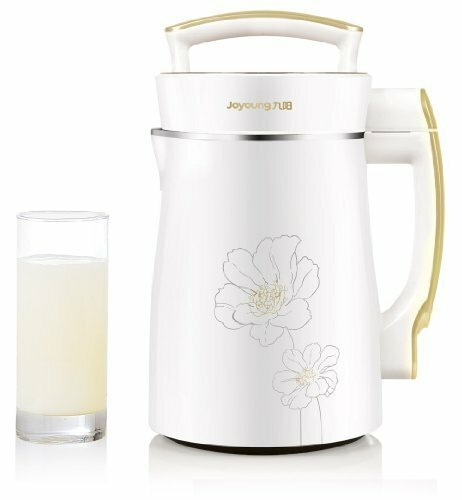 This is a classic, standard offering from Joyoung that represents a good soy milk maker, but does not necessarily go above or beyond. 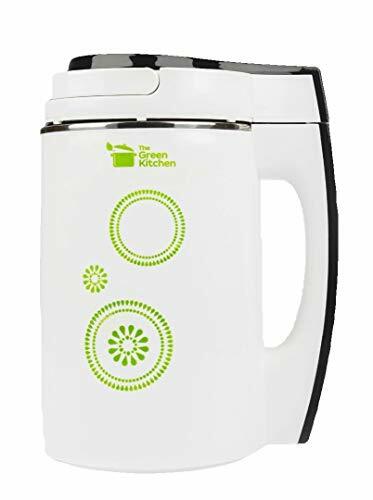 The Green Kitchen Soy Milk Maker has five pre-programmed settings, filterless technology, a one-year warranty, a plastic exterior, and a stainless steel interior. It comes with a number of different ‘protections’, according to the company: Boiled Dry Protection, Spill Protection, and Motor Overheating Protection. Despite this, the one-year warranty indicates that the company is not significantly more confident in its build quality than the other companies on this list are. One of the unique benefits of this soy milk maker is that it’s claimed to be more lightweight than other models. The plastic exterior on many of these models makes them lighter than the stainless steel exterior models, but this one in particular is advertised as being very light – while still maintaining a sturdiness that stops it from wobbling around during use. The pre-programmed settings that this model has are as follows: soaked beans, dry beans, grains, porridge, and raw juice. This is a fairly standard list compared to other models, and on the whole this model is a fairly standard offering from The Green Kitchen. It’s still a great model, with great specs, but it’s not as advanced as many others on the market. The second Joyoung is the CTS-2038, which is a 1.7L model with a one-year warranty and filterless technology. It has six pre-programmed functions: grains, dry beans, soaked beans, rice paste, corn juice, and keep warm, the final three of which are unique to this model. As a result, if you’re keen on any of these settings, this is the model you should go for. This model is advertised as having ultra-fine grinding technology for a truly smooth milk, and a specially-designed boiling/soft heating cycle to make soy milk emulsify better. The only drawback to this model is that it’s louder than other models during the grinding process. Joyoung explains that this is because of the larger capacity – more beans means that the machine needs to grind harder, and so it’s going to be louder than models that can take fewer beans. Since most soy milk makers are already quite loud, this model is likely to be quite loud – the only reason it is so low down on this list. This is still a great model, however, with a specific set of functions that are likely to draw your attention if you’re planning on making rice paste or corn juice often. The Tribest Soyabella is a simple model, the simplest on this list, with a stripped-back assortment of settings. It has a 1.3L capacity, which is the most common capacity on this list, and a stainless steel interior – very common. However, there are a lot of differences between this model and the others on the market. It’s not advertised as having filterless technology, which is the hallmark of many later-generation soy milk maker models. It doesn’t have any pre-programmed settings, which every other model on this list has. It has a two-year warranty, which is one year longer than every other model. And it has a stainless steel exterior, which is likely to make it both heavier and hotter to the touch than models with plastic housing. It also comes with milling accessories, which no other model comes with, which makes it possible to convert this machine into a coffee grinder; and, because of this, it can make raw nut milk in seconds. Since many of the other models cannot make raw nut milk, this is a massive benefit for you if you eat predominantly raw. It’s a unique model with a bunch of specific benefits and drawbacks that’ll be best for you if you’re a raw vegan, if you want to use this as a coffee grinder, and if you don’t mind the lack of other settings. If you’re someone who uses a lot of plant-based milk, eventually you’re likely to start thinking about making your own. It’s much cheaper than buying nut milk from the supermarket, and it makes it possible for you to flavor your milk exactly as you’d like. You can also avoid all of the preservatives and packaging that come with purchased nut milks, if those are things that are important for you. You can also make sure your nut milk comes out exactly as thick as you’d like – so if you’re sick of the watery consistency of store-bought almond milk, you can make something much creamier with a soy milk maker. Homemade soy milk is amazingly easy with a soy milk maker. If you’re already making your own soy milk, almost everyone who’s used a soy milk maker will agree that it’s much easier than making it from scratch. Many people use the stove and a blender with a cheesecloth to create nut milk, which is a fairly time-consuming system that requires a lot of cleaning up afterwards. You have to stand over the stove for 20 minutes, stirring; you have to blend everything up; and you have to strain it manually, which can be messy and frustrating. Soy milk makers, on the other hand, do everything manually instead. You simply put your beans or nuts into the machine – most of these models can take either soaked or dried beans – and press a button. The machine will make the milk for you, and you simply have to strain it through the included strainer for perfectly-smooth nut milk. Soy milk makers typically make creamier and more cost-effective milk than you can get manually, too, as they produce fewer strained solids – so you need to use fewer nuts or beans to get a certain amount of milk. Soy milk makers can also be used for much more than just soy milk. As well as creating nut and seed milks out of almost anything, many of these models come with pre-programmed functions that cover everything from juices to porridge to soup. One even comes with an inbuilt hot chocolate function, to make vegan hot chocolate ridiculously easy. Because these machines are often smaller and easier to clean than slow cookers or blenders, it may be easier to make soups or juices in a soy milk maker than in those other appliances; whether or not the results will be as good will depend on the exact model and the recipes you use. You can try your hand at almond milk, cashew milk, walnut milk, hazelnut milk... the list is almost endless. The differences in the models comes down to what each is able to do. Most of these models have a 1.3L capacity – around 1.3 quarts – which is plenty for the average user. A few have a larger 1.7L capacity, and one has a large 1.9L capacity, which is ideal for someone who either drinks a lot of nut milk, is creating milks for a family, or is planning on making soup in their machine. The size that is best for you depends on how much nut milk you’re hoping to make, and that’s one of the most important distinguishing features of these models. Almost all of these models have filterless technology and one-year warranties. Early soy milk makers came inbuilt with filters, which were supposed to separate out the solids from the liquids during the cooking process. However, users found that these typically just got clogged and were very inconvenient to clean, so later models of soy milk maker did away with these filters entirely. Soy milk makers without filters are much easier to clean and use. These models instead come with a separate sieve that can be used to separate the solids from the milk, and for the most part their improved cooking cycles compared to older models mean that there’s much less solid matter produced than with earlier models. All except one of these models has a one-year warranty, which is standard for most kitchen appliances. The exception is the Tribest Soyabella, which has a two-year warranty. This extended warranty might be a useful thing to keep in mind; it’s likely to indicate slightly better build quality than the other machines with shorter warranties. Another feature that most of these machines share is pre-programmed functions. All except one – the Tribest Soyabella – have pre-programmed functions, which makes them much easier to use. The models with more functions are likely to be more helpful than those with fewer functions, but of course the importance of each function is dependent on what you’re likely to make. If you’re mainly planning on making nut or soy milks, then getting a model that has both a soaked bean and a dry bean function is almost essential – it makes it much much easier, and basically is the entire point of buying a soy milk maker to begin with. If you’ve forgotten to soak your nuts or beans overnight, the dry bean setting still makes it possible for you to get great plant-based milk quickly. Creamier soy milk than the store-bought variety can be had for a fraction of the price. Most of these models also have some sort of porridge function, and many have an inbuilt juice function too. If you eat a lot of porridge and want to make it from scratch, you may as well purchase a model with this feature; the same thing goes for juices, especially if you don’t have a juicer or blender and don’t want to have to purchase one. The final most important feature has to do with the materials used in the models. It’s essential, for safety reasons, that the interior of a soy milk maker is made of metal; otherwise, leaching of plastic could occur during the heating process and contaminate the product that you’re making. Luckily, all of these models have stainless steel interiors, so there is no issue with food safety for any of them. However, there are differences in the materials used on the exterior of the model. Some are plastic, and some are stainless steel. On the whole, plastic is a preferred choice. Not only does it mean that the body of the machine won’t get hot while in use – which makes it safer, especially in households with children – and it also makes the machine much lighter, so it’s easier to move around. The models with plastic exteriors also typically have patterns on them, which makes them more attractive than stainless steel-only models. Of course, whichever of these features is important to you is all down to you. 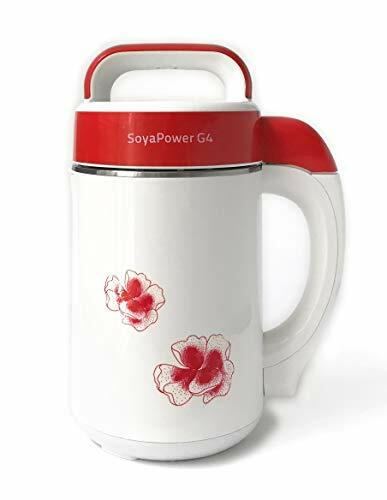 It’s very hard to determine whether the SoyaPower G4 or the Sonya model is the best soy milk maker on the market. Both have excellent specs, a range of great pre-programmed settings, and smart design elements. If you want to make your own plant-based milks, either of these two models is a great option to help make your life a whole lot easier.